At a meeting with a group of prominent economists recently, I heard something I hadn't heard in more than a decade from any serious person - that Argentina is on the verge of an economic boom. The prediction was made by former Central Bank President Alfonso Prat Gay, a highly respected economist who - like a growing number of experts - expects this country to take off once the disastrous government of President Cristina Fernandez de Kirchner leaves office after the October 2015 elections. Toward the end of his presentation, Prat Gay summed up his projections with a two-sentence slide that read, "Short run: pain. Long run: boom." I later found out that Prat Gay is far from alone in expecting Argentina to rise again after next year's elections, among other reasons because the country will receive a huge windfall from new shale oil and gas reserves, and all major presidential candidates are more responsible and likely to attract more investments than Fernandez de Kirchner. 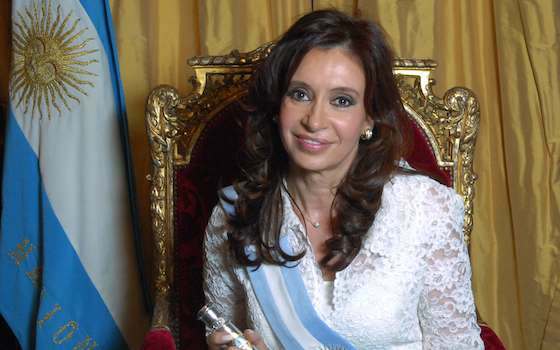 Over the past 11 years, Fernandez de Kirchner and her late husband, former President Nestor Kirchner, have squandered - through a combination of politically targeted cash subsidies and massive corruption - the country's biggest commodity bonanza in recent history. Argentina, a major exporter of soybeans and other commodities, benefited like few other countries from China's commodity imports in recent years. But after a few years of an economic fiesta in which the government subsidized almost everything instead of investing in education, health and infrastructure, the country is a shambles. Today, Argentina's inflation is running at 33 percent a year - second in the region only after Venezuela's. Also, foreign reserves have dropped to four months' worth of imports, and the economy is in a virtual recession. But most independent economists, political analysts and business leaders cite several reasons to be optimistic about the economy in the post-Kirchner era. They say it's no coincidence that Argentina's stock market has risen 74 percent in dollar terms over the past 12 months: big investors are already looking past the Kirchner era and anticipating much better times starting in 2016. The stock market's turnaround started after the last midterm elections, in which Fernandez's party was soundly defeated and it became clear that she would not be able to change the constitution and get herself re-elected to a third term. _All the major candidates for next year's elections are promising a shift away from the populist policies that have scared domestic and foreign investors, who in recent years have put their savings in Uruguay and Miami real estate. _At the same time, Argentina will start getting huge foreign investments to develop the Vaca Muerta shale gas and oil reserves, the world's second-largest shale gas reserve after China's and the world's fourth-largest shale oil reserve. These huge reserves will not only solve Argentina's energy problem for the next 200 years, but will generate a new source of foreign income, economists stay. _In addition, Argentina will continue being a major exporter of soybeans to China for the foreseeable future. While China's economic slowdown is affecting South American commodity exporters such as Chile and Peru, which sell copper and other construction materials to China, it has not significantly affected Argentina's soybean exports to China. The Chinese may be building fewer roads and bridges, but they will not stop eating. "This, we never had before," Prat Gay said, referring to the newly found shale oil and gas reserves, as well as the other factors that are likely to help Argentina's economy. "If we are going to screw this one up, it will be a massive screw-up," he said. "I don't believe we can be as stupid as to allow this one to slip away from our fingers." My opinion: Argentina is the land of missed opportunities, where populist governments over the past six decades have managed to turn one of the world's richest countries into a textbook case of economic decline. I'm afraid that Argentina's only chance to escape from its deeply ingrained populist mindset will be to create a constitutional straitjacket to prevent future presidents from misspending the country's income. For instance, Argentina could do what Norway did with oil, or Chile with copper, and constitutionally earmark a percentage of its upcoming shale oil and gas exports, as well as its soybean export income, to fund high-quality education and infrastructure. If it does that, Argentina could become the new star of Latin America's economy before the end of this decade. "Many Expect Post-Kirchner Economic Boom in Argentina"